Gentlemen, gentlemen, please. Why don't we stop all this console manufacturer bickering and make peace? Wedbush Morgan analyst Michael Pachter says that PlayStation boss Kaz Hirai and Xbox 360 director Aaron Greenberg are both right. How can that be? Surely both mouthpieces, whether they're boasting "official leadership in this industry" or whether they're claiming the other is "out of touch with where the industry and consumer is today" can't find common ground. Or can they? 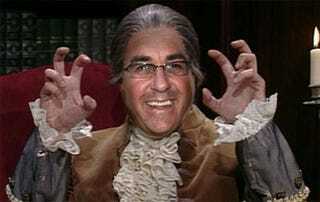 Pachter speaks! "Aaron Greenberg is right that Sony likely won't catch Microsoft in the U.S. until at least 2014. Kaz is right that Sony will likely catch Microsoft globally," said Pachter. 2014! That's probably not what Sony's thinking. Mr. P puts both the PlayStation 3 and Xbox 360 in a "dead heat" by 2011, according to his comments to GameDaily. He also points out Sony's besting of Microsoft in Japan year after year, as reason why this global fight isn't quite over. The analyst expects that upcoming price drops from Sony on the PS3 will certainly help the console's chances.